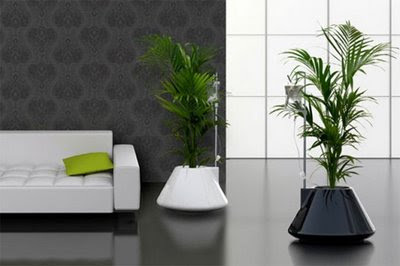 Collection of modern plant pots and creative flower containers perfect for stylish indoor and outdoor gardening. 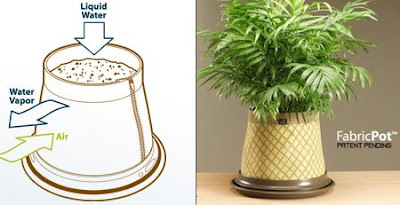 This self-watering plant pot’s main feature is a medical drip feed. This unique characteristic allows the plant to be nourished with water when needed. 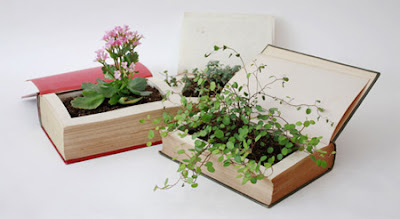 Why not turn some of your old books into plant pots? That is exactly what Tokyo Pistol design agency did with theirs. 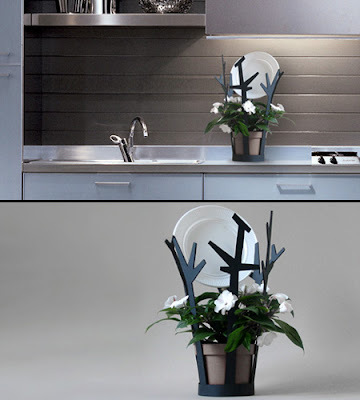 Great design that lets the water from your drying dishes drip into the plant pot and water your flowers. Decorative containers made from waterproof and breathable fabric. This innovation allows the soil to aerate naturally, contributing to healthy root systems and plant growth. 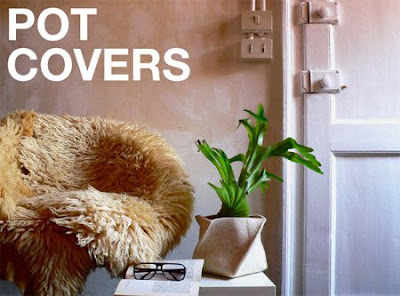 Use them to decorate your house and give a smooth touch to your plant pot, while protecting your furniture from scratches. 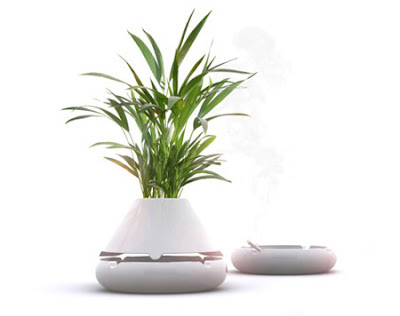 This unique design combines an ashtray with a plant pot. The pot sits on top of the ashtray, concealing it both visually and aromatically. 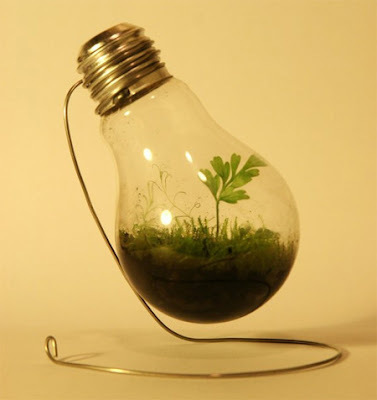 Summon-The-Wolves shows us how to reuse old light bulbs. A set of 5 ceramic pots. 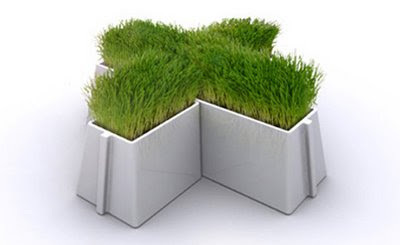 The pots can be configured in several ways, including an “X” shape or in a straight line or in an “L” shape. 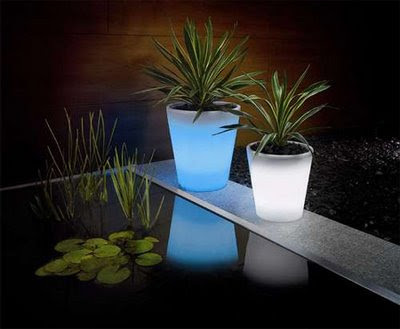 This stylish designer plant pot soaks up the sun’s rays in order to charge internal battery that powers several built-in LEDs. 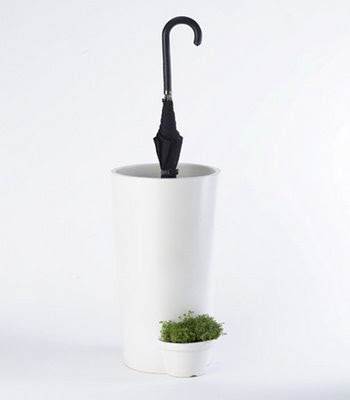 This creative pot design allows rainwater from your umbrella to drain into the plant pot. 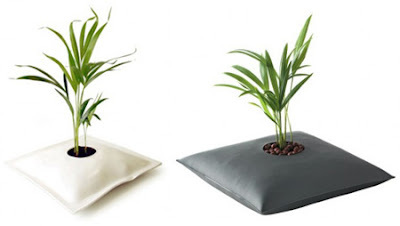 Unusual pillow shaped pot for plants made of PVC foam that expands according to the plants growing needs. 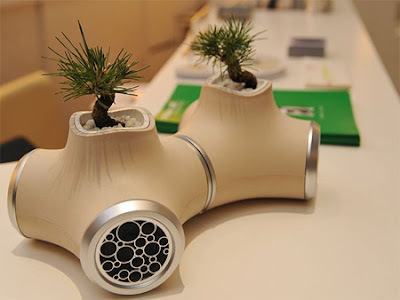 “Kirikabu” sound garden combines your choice of potted plants with multi-directional speakers. 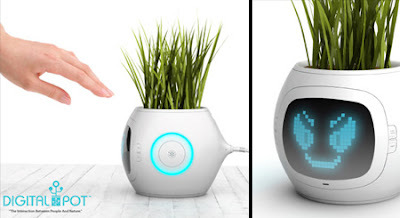 This cool looking plant pot measures soil conditions, temperature, and water - calculates these variables based on the need of said plant, and expresses its condition via an LCD display. 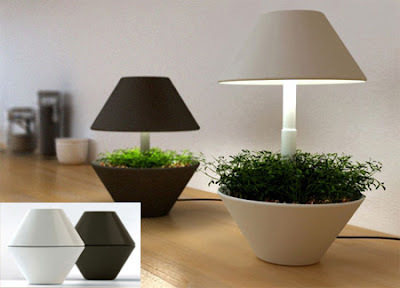 Modern pot for growing plants and herbs indoors. 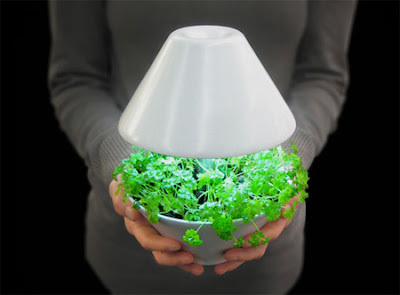 It uses LED lighting and can be placed anywhere in the house. 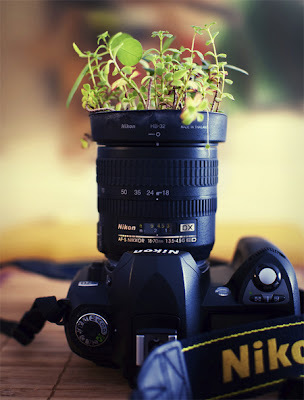 If you do not have a regular plant pot, you can always use a Nikon dSLR camera for your gardening. Just like Flickr user Dr Cullen.